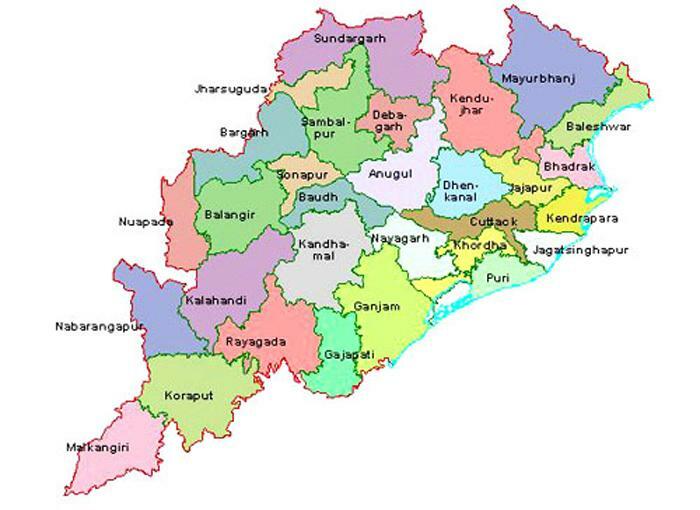 ::Welcome to amazingorissa:-All Orissa information,wildlife,beaches,tribal and much more. Your FeedBack Is Very Very Valuable For us.So what You feel Just Mail Us by clicking This link. Buddhist moanstary with really uniquenesss....flat hill-top affords an exciting panoramic view,calm atmosphre which might have ensures the monks for seclusion , tells and stories of art, artisan and religion of 5th centuries AD to 13th century AD. Engraved Buddhist sculptures are the amazing features of Ratnagiri, Udayagiri and Lalitgiri. Lord of the Universe is lord Jagannath . The temple is at Puri and one of the most sacred pilgrimage spots in India.One of the four abodes or dhamas of the divine that lie on the four directions of the compass. The present temple structure was built in the tweleveth century . It has the distinction of being the longest dam in the world which length is about 25.8 K.Ms. long with dam and dykes taken together.And this is happens to be the first post independence major multipurpose river valley project in India. Situated on the western end , it covers an area of 746 sq kms. Across the river Mahanadi , this Hirakud Dam Project is built at about 15 Kms stretch at upstream of Sambalpur town. If you believe and enjoy adventures sports then definitely it will be an enchanting experience for you when you are here right at Tikarpada . Here you will find Satkosia Gorge where the great Mahanadi River crashes with monumental force .It is an ideal place for white water rafting and other adventure sports. About 8 km South of Bhubaneshwar, here lies Dhauli, the spot of great kalinga war which was occured in the year 261 B.C. To carry the peace message to the masses, the king Ashoka engraved a set of rock edicts through out India and one of them is at dhauli.Other set is at Jaugarh at Orissa.Feel exciting and enjoy your tour right at Dhauli. It is the largest coastal lake in India. The lake was formed due to the silting action of the river Mahanadi .The lagoon is a unique assemblage of marine, brackish and fresh water eco-system .It is an avian grandeur and the wintering ground for more than one million migratory birds. The existing dance and musical tradition of Orissa is the cumulative experience of the last two thousand and five hundred years and can broadly be grouped under various varieties. Based on the practice and preparations, the music of Orissa are categorized into five sections. These are Folk music, Tribal music , Light Music , Light Classical music and Classical Music. There are a large number of fairs and festivals celebrated in the state relating to each religion, tribe. Festivals relating to Lord Jagannath, the presiding deity of the Puri Temple, and many seasonal exhibitions and fairs as well as special festivals such as the Konark Dance Festival, the Rajarani Music Festival, the Puri Beach Festival etc are regarded as prominent one .